Every living being longs for happiness, a life at peace with little of negative emotions and disturbances. This chapter tries to establish constructive living, meaning making and client systems as constructs of happiness. Everybody visualizes the world differently. Thoughts, experiences, feelings and actions define and design lives. They describe the version one holds for the world around them. In times of distress, it is natural that one finds it hard to understand truth. The meaning making process then differs from the way one derives meaning in normal life. Intrapersonal, interpersonal and environmental factors all determine the client's system. An understanding of the client system and using constructive living, a method involving Morita and Naikan,the two most notable psychotherapies of Japan, can help in constructing happiness. 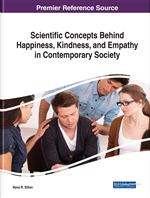 This chapter will explore the role of meaning making, constructive living and client systems in being happy. The study will also put forward suggestions for attaining a happy and contented life. Establish the various determinants of happiness. Get acquainted with various components of client system helpful in constructing happiness. Explore how to be happy and contented. “If you correct your mind, the rest of your life will fall into place” is one of the most apt sayings by Lao Tzu. (n.d.) Happiness in its true sense is described as a sense of “peace” or “contentedness”. Happiness is a state of mind. It may be intentional or strategic. Sustained happiness is not about being in comfort zone and doing things you like but involves adventuring beyond one’s comfort zone. Forgas (2011) in his study found that dispositional happy people are those who have a general leaning toward the positive, i.e., they are less skeptical than others. Oishi et al. (2013) in their study found that happiest people—those who scored a 9 or 10 out of 10 on measures of life satisfaction—were inclined to perform less well than moderately happy people in accomplishments such as grades, class attendance, or work salaries. They were less conscientious about their performance. To them, sacrificing some degree of achievement appeared to be a small price to pay for not having to sweat the small stuff. In other words, too much focus on minute details can be exhausting and paralyzing. The happiest people accept that striving for perfection and a perfectly smooth interaction with everyone at all times is a loser's bet. The aftermath of 9/11 shows that the most flexible people living in New York City during the attacks were those who were angry at times but could also conceal their emotions when necessary. Such people bounced back more quickly and enjoyed greater psychological and physical health than their less adaptable counterparts (Bonanno, 2010).